Newborn set makes Tripp Trapp a chair for life! Not a day goes by when I don’t pinch myself at the awesomeness of my job – just look at what lands in my inbox! 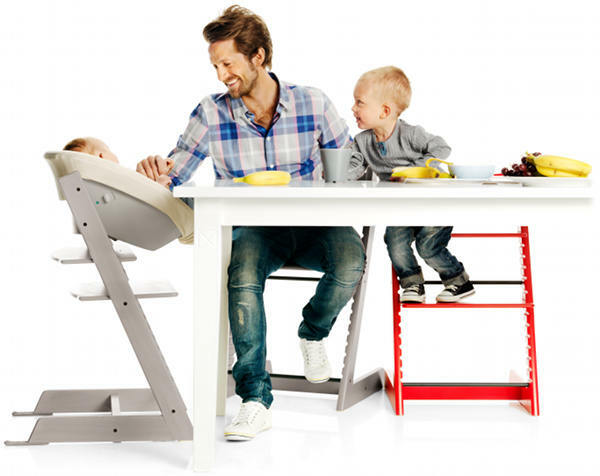 Stokke has just announced its innovative new Tripp Trapp accessory – the Newborn Set – to make the Tripp Trapp a chair for life. This dear little cradle safely perches on the Tripp Trapp so baby can be up at the table with the family for meals. I used to feel sorry for my little babies as they lay in their floor-height baby bouncer while we ate and conversed. Babies are people too! Learning from their families at meal times is a vital part of life and with the newborn set, they’ll be right there in the action! Of course you knew that Stokke wouldn’t be content with just one function. 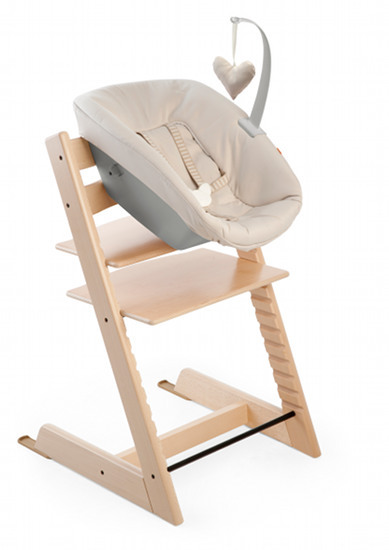 The newborn set is easily removed from the Tripp Trapp and set down on the floor as a stand-alone baby seat. You can also jazz up the look of the seat with additional textiles in blue, green or purple dots to protect it during the rusk-gnawing days. 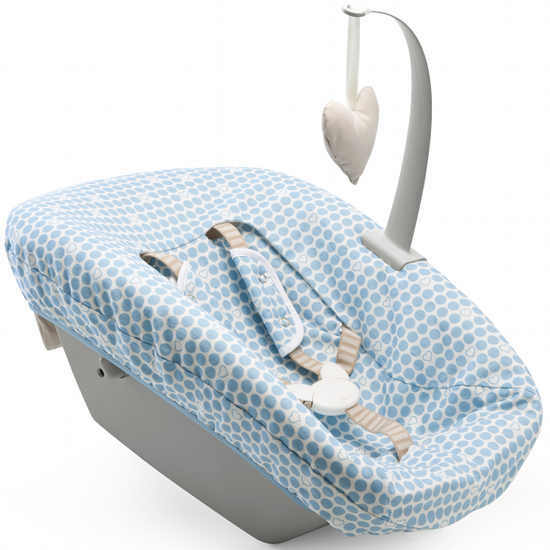 It can be used from birth to six months or nine kilos and then baby can progress to the Baby Set. Oh to be having a baby! No word yet on an Australian release date but we’ll keep you posted. This news is hot off the press and we had to get it to you before knowing absolutely every detail. For more Stokke content, see our archives by using the search field above.